Look and feel amazing by restoring the youthful glow of your face. At The Maxillofacial Surgery Center, we do our very best to help you look and feel amazing! If you’d like to restore the youthful glow of your face, define its contours, or enhance your appearance overall, Dr. Wilson has the certification and experience to provide the very best in cosmetic enhancements. Facial implants, dermal fillers, and Botox give our Gilbert and Phoenix area patients a reason to enjoy life to the fullest. 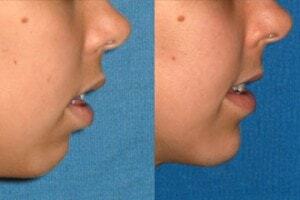 Facial implants for the chin, jaw, and cheeks bring balance and esthetic proportion to the appearance of your face. They define its natural structure by creating more visible contours and natural angles. If the structure of your face is disproportionate, facial implants may be the solution to a more attractive appearance. With Board Certification from the American Board of Oral and Maxillofacial Surgery, and more than 12 years of clinical experience managing facial bones and muscles, Dr. Wilson can be trusted to provide the results you want in a way that looks 100% natural. Begin your journey to a more youthful appearance and improved quality of life today!